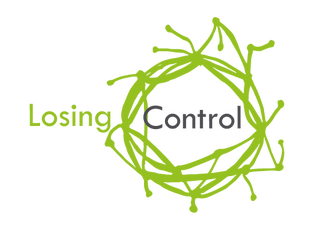 Catherine Wilks from Designs in Mind along with Peter Lefort from The Eden Project will be curating a mindfulness space at Losing Control. Here, Catherine explains what mindfulness means to her. “Every Wednesday our studio is open for people to come and learn all the skills needed to participate at Designs in Mind, but what people mainly get is learning to be part of a group. We have two groups, quite small, and for most people it is the only time of the week they leave the house, finding ways to live life with mental health challenges. The incredible strength, courage and energy that it takes to walk through the door is immense. It reminds me continuously that if I don’t put myself out there, actually do something different or that I could fail at, I am not learning, I’m not open to the possibilities. For me this is a felt experience and not just something I can learn by talking. I have to feel it in my body. This is important to me, as CEO at Designs in Mind, because I am continuously admitting that I don’t really know what the next step will be, testing things out, asking questions because I don’t know the answers… but together we can figure it out. So I love being part of the Losing Control community, because there are so many people grappling with difficult questions and trying out new ways of working. I can’t wait! We will be in the Eden Room, working together with the Eden Project and whilst we are billed as ‘Calm Me’, what I am hoping for is that this is a space that ‘awakens’ you, because your brain and body will have the opportunity to do something different. You can become open to new possibilities. People often say to us: ‘But I can’t draw’, ‘I’m not an artist’, ‘I can’t do that’. For this reason, we are bringing with us a series of exercises involving opportunities to make marks, play with tape, wire, print and even dance where no-one can feel precious about what they’re doing. Because they have no control over it. Find out more about Catherine Wilks & Peter Lefort’s session ‘Out of line – Exercises in embracing the chaos’ and read the rest of the Losing Control programme here.